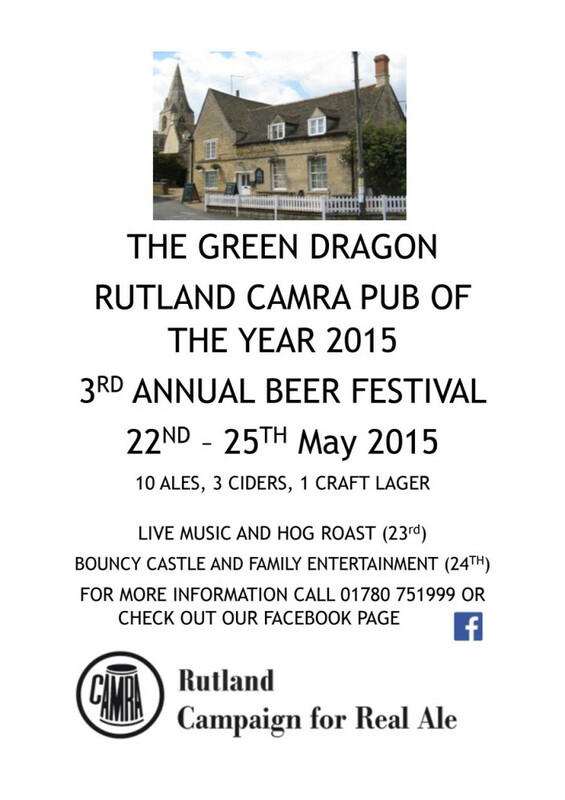 The Green Dragon Ryhall Pub (Rutland Camra Pub of the Year 2015) are very happy to announce that on the 22nd to the 25th of May 2015 we are holding our third Annual Beer Festival! 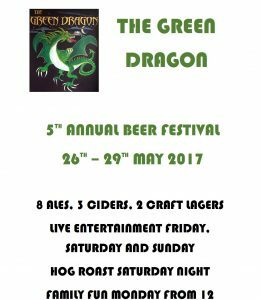 On Saturday the 23rd of May there will be live music and a hog roast. On Sunday the 24th of May we will have a bouncy castle and a load of great family entertainment. 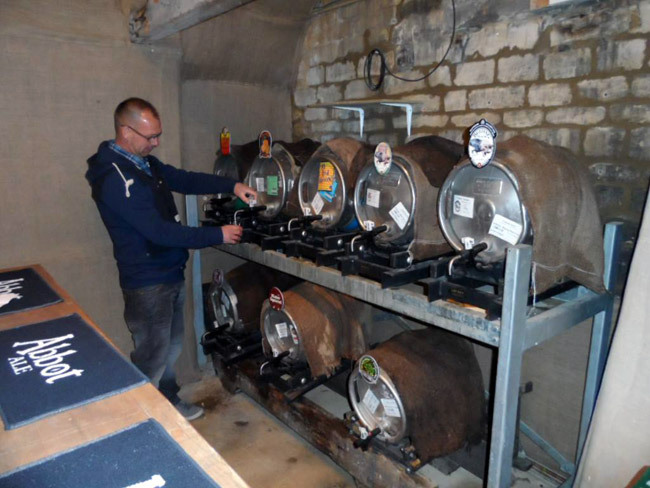 For more information you can ring us on 01780 751999 or visit our Facebook Page.